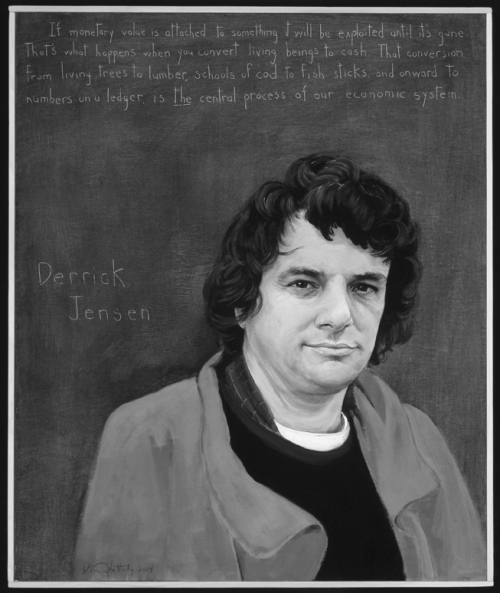 Derrick Jensen is an American author and environmental activist. In 2008, he won the Hoffer Award and was named one of Utne Reader’s “50 Visionaries Who Are Changing Your World.” His 2003 book, “The Culture of Make Believe,” was a finalist for the Lukas Prize Project Award for Exceptional Works of Nonfiction, sponsored by the Columbia University Graduate School of Journalism and the Nieman Foundation at Harvard. “The Culture of Make Believe” explored issues of hate and violence in our culture. As a launching point for our thematic issue this month, Patrick Naylis talked with Jensen by phone about the issue of hate. Whether you agree with him or not, Jensen offers a thought provoking interview about some of the most controversial issues in American culture. He’s not shy to state an opinion, and we hope you’re not as well. Our hope is to generate a discussion about these issues. Share your thoughts online at www.denvervoice.org, or submit a letter to the editor at editor@denvervoice.org. Comments and feedback, both supportive and dissenting, will be published in the May issue of the Denver VOICE.